GEN. 2 ARMS 30+% OFF! The Pioneer Shimano Ultegra R8000 Power Meter comes ready to ride on a Shimano R8000 left crank arm. Featuring Pioneer’s 12-point force measurement for high accuracy and advanced metrics, it can measure pedaling forces every 30 degrees, for 12 points of measurement per pedal revolution. This level of measurement is unique to Pioneer power meters. In addition, when paired with a Pioneer Cycle Computer, you get access to Pioneer’s HDPower Metrics including Force Vector analysis, Torque Vector and Pedaling Efficiency power metrics. The Pioneer R8000 Power Meter runs off an easy to change CR2032 battery and gets approximately 180 hours of battery life. The unit is lightweight, adding only 22 grams to the weight of the crank arm and it is both IP66 and IP68 water resistance certified. The power meter is both ANT+ and Bluetooth SMART compatible and can be used with the Pioneer Cycle Computer or your favorite head unit. Installation takes about 10 minutes and involves simply swapping your current left-side crank arm for your new, power-equipped version. The Pioneer R8000 Power Meter is also easily upgradable. At any point, you can purchase and upgrade kit for your drive side crank arm and turn your Pioneer into a complete, dual-sided system. Pioneer power meters feature advanced precision and accuracy with force detection in 12 locations and almost 200 times per rotation. Pioneer power meters provide access to HDPower Metrics when connected to Pioneer Cycle Computers. The Pioneer R8000 is extremely lightweight, adding only 22 grams of weight to the crank arm. Installation is a breeze. Just swap it out for your current left-side crank arm and you’re ready to ride! Installation takes minutes…not hours. The Pioneer R8000 transmits uses both ANT+ and Bluetooth SMART. This makes it compatible with any bicycle computer, smart phone or tablet. The new app features an easy-to-use interface and allows for simple installation and set-up of your power meter functions. 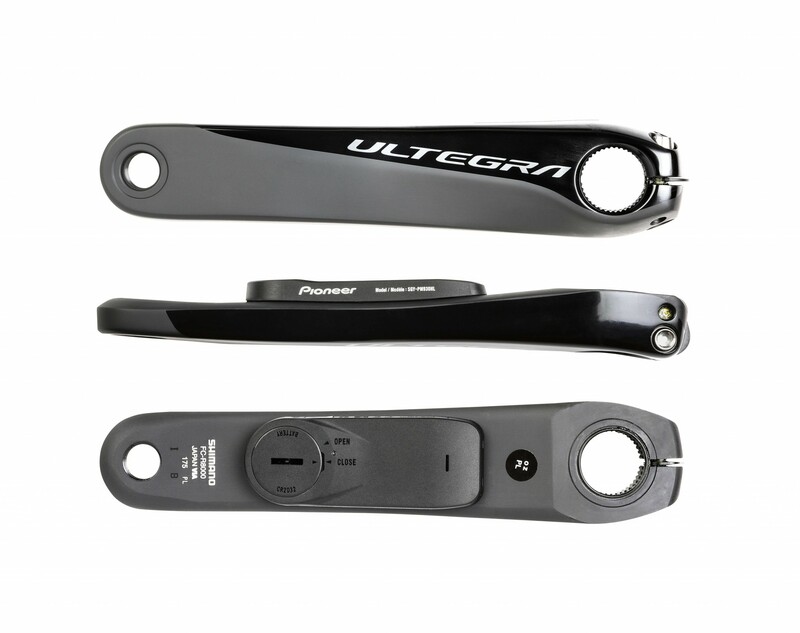 The Pioneer Ultegra R8000 Power Meter is compatible with all Shimano Hollowtech II road cranks. The absolute best upgrade ever. I have used this power meter since January. Since then, no ride has been meaningless and the Pioneer PM has made me many PRs and KOMs. If I make more money, I will order the right side PM additionally. Hi and thanks for the review! Glad you are enjoying your Pioneer R8000. These left side arms making getting started with power really easy. Keep up the nice work with the PRs and KOMs!